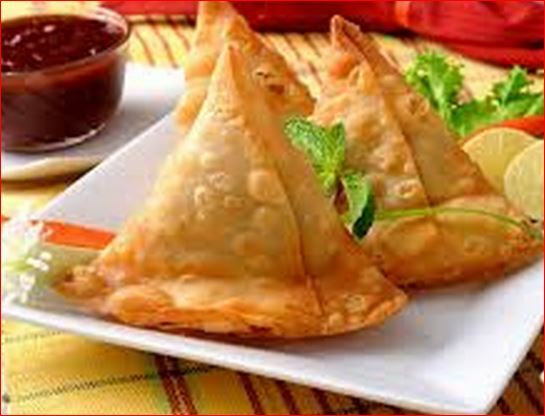 How to Make Vegetable Samosa Recipe? How to Make Samosa Recipe? Mix all the ingredients (salt, oil, ajwain) except water. Add a little water at a time. Pat and knead well for several times into a soft pliable dough. Cover it with moist Muslin cloth and keep aside for 15 minutes. In a bowl add mashed potatoes and all dry masalas (salt, chili powder, mango powder, garam masala) and green chilles, ginger and Mix well. Add green peas, cashews and raisins and mix well. Add coriander and keep aside. Make small rolls of dough and roll it into a 4″-5″ diameter circle. 1. How to Make Pao Bhaji? 2. How to Make Pista Kulfi Recipe? 3. How to Make Khasta Dal Kachori? 4. How to Make Chhole Bhature? 5. How to Make Fruit Kheer? How to Make Capsicum Masala Curry Recipe? Previous story How to Make Mysore Pak Recipe? Masala Dosa-How to Make Masala Dosa Recipe? How to Make Masala Koki Recipe? How to Make Lauki Ki Sabji Recipe? Joke-Love Marriage Karna Itna Bura Hota Hai Kya?